From bridging the generation gap to making churches a safe place for all, the Lexington Theological Seminary 2016-17 Creating Vital Congregations Webinar Series will help equip pastors, church leaders and members alike to address a wide variety of issues facing congregations today. The webinars are offered on-site at the campus (230 Lexington Green Circle, Suite 300) or online, 1:30-3:30 p.m. Eastern time on the date listed below. The cost to register is $10 per log-in, with an unlimited number of participants for those who join online. Register at https://www.lextheo.edu/webinar-series/ (scroll down to the date of the webinar you wish to attend) or contact Deena Ainslie at (859) 280-1212 or [email protected] for more information. Explore some of the historical and modern-day models for building transformative moral movements and how we might re-engage and re-shape them in order to support freedom movements today. In this webinar, Dr. Barber will advocate for the reclamation of deeply-held ethical values and will offer suggestions about reaching a critical mass of people in order to build an effective social movement. Individuals and congregations alike will benefit from the insights shared here. Rev. 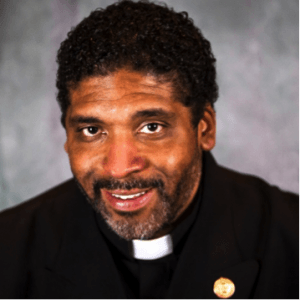 Dr. William Barber II is the architect of the Forward Together Moral Fusion movement that gained national acclaim with its Moral Monday protests at the North Carolina General Assembly in 2013. Rev. Barber is a highly sought after speaker who has spoken at hundreds of national and state conferences since being elected President of the N.C. Conference of NAACP Branches in 2005. His latest book is The Third Reconstruction (Beacon Press, 2016).